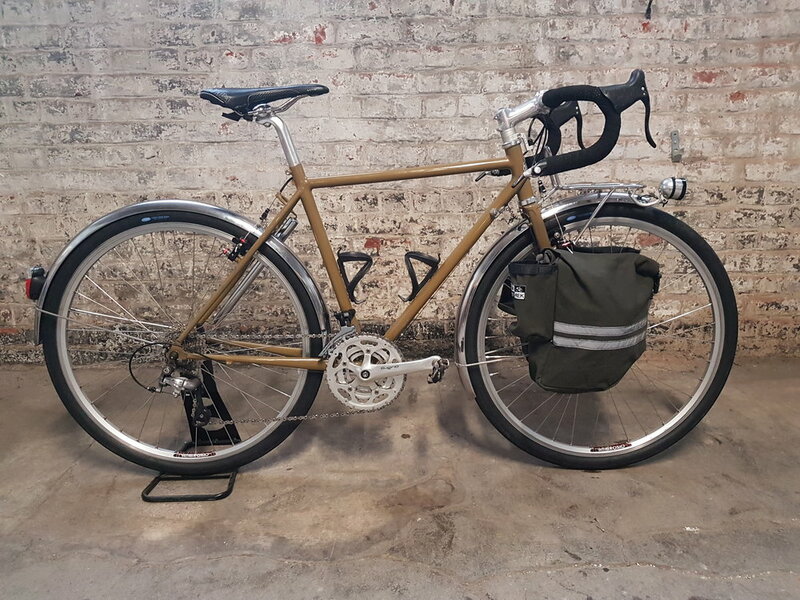 Christian was looking for a new frame with a more comfortable geometry (less reach, more stack) and more tire clearance as well as light pannier racks and bags. For latter he went for the model which was used and tested during the Transcontinental Race last year made by TIM TAS & REK. Apart from that we kept as much as possible of the components of his previous bike. 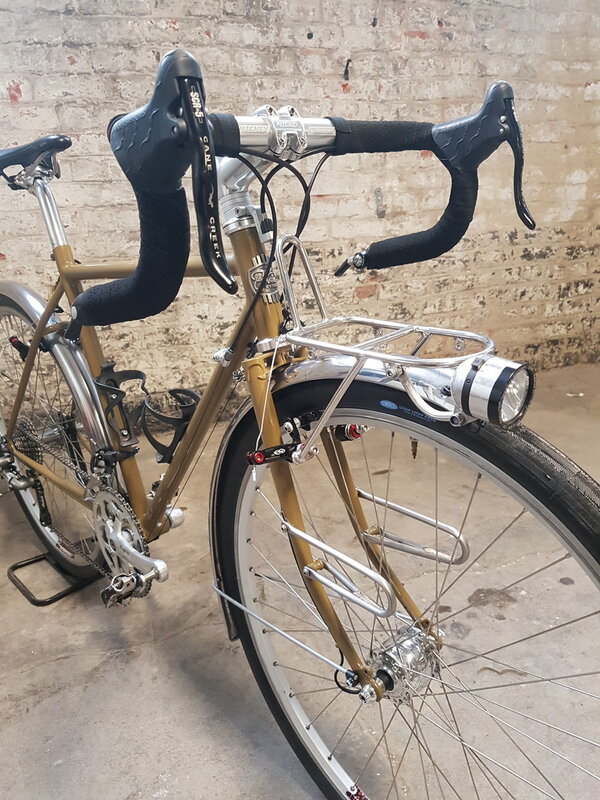 The frame of this light randonneur is made from Columbus Zona tubes. 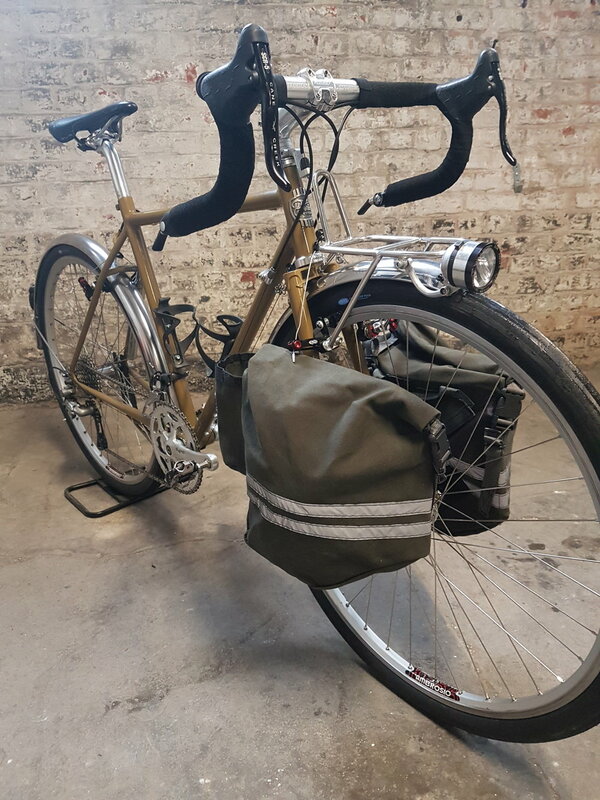 The tires are Compass Loup Loup Pass 650bx38 mm (great balance of performance and comfort) shielded by classy Gilles Berthoud fenders. The lighting system is powered by the SON delux dynamo hub. There is a little hidden connector plug behind the bottom bracket which allows to remove the rear fender without cutting the light off. The transmission is the solid 3x10 Shimano 105.